This iPad 3 WiFi antenna sits below the touch screen and is torn when replacing the iPad 3 touch screen. If you have low WiFi signal strength on your iPad 3 this replacement part will repair the fault, allowing you to restore your iPad 3 WiFi signal reception back to full strength. This is a replacement part and does fit all iPad 3 models. 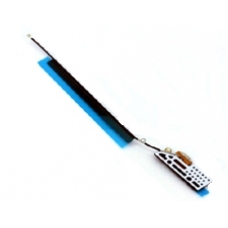 * Genuine Apple Flex Cable Spare Part. * Apple Part Number 821-1317-B.